CA7U EvoBoost is a variation of the CA7 Evo Boost dedicated mainly to the grinding and resharpening of all kind of broaches. 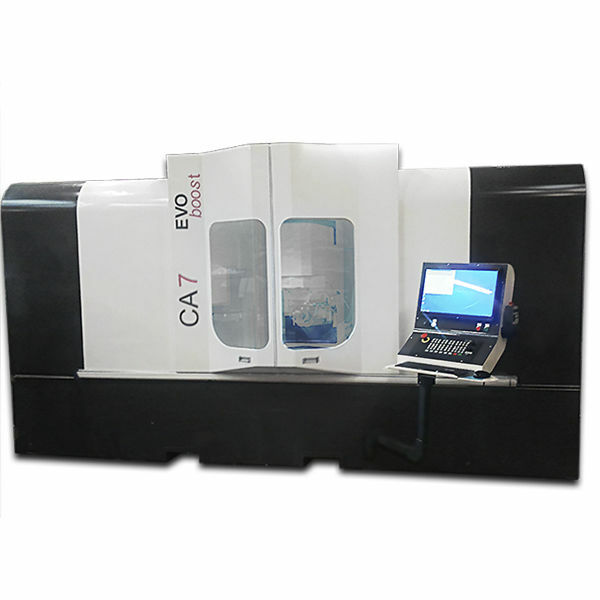 Like the CA7, the CA7U is the latest stamped "Broach Expert" grinding machine designed and manufactured by SMP TECHNIK. Equiped with a 1700 mm length table, with a large selection of accessories, a powerful electro-spindle and a «Full Option» software, it is perfect for the realization of all your tools whatever their size. In this configuration, the axis B drives the electrospindle in rotation on a vertical plane, this allowing a perfect visualization of the various sharpening operations by the operator during the cycle. Moreover, its compact dimensions make it the perfect tool in workshops where every centimeter counts.